Since it's Book Week, it seemed like the perfect time to wrap up a stack of books! Of course, these ideas can work for any package, not just books! 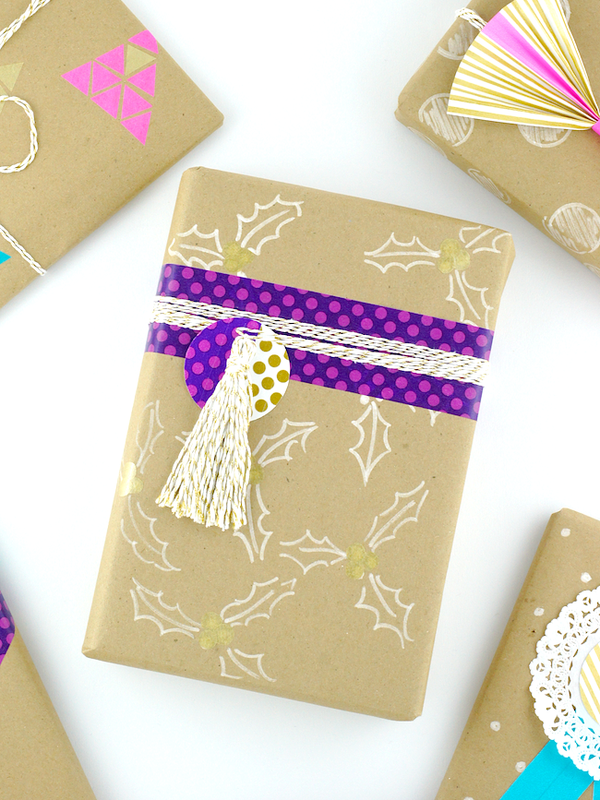 Wrap it cute! Big sketchy polka dots and a pleated washi tape bow. Make polka dots by tracing around the inside edge of a roll of tape then colour in the dots. 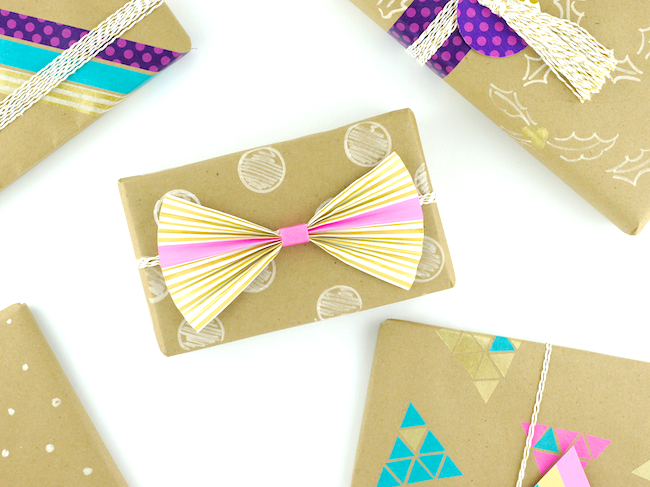 Create a pleated bow out of a piece of washi tape covered paper - regular printer paper will do. Apply tape strips to paper then pleat back and forth as if you are making a fan. Secure in the middle with a piece of tape. Wrap it modern! Angled washi stripes and collage tag. Apply three strips of tape around the package on an angle. 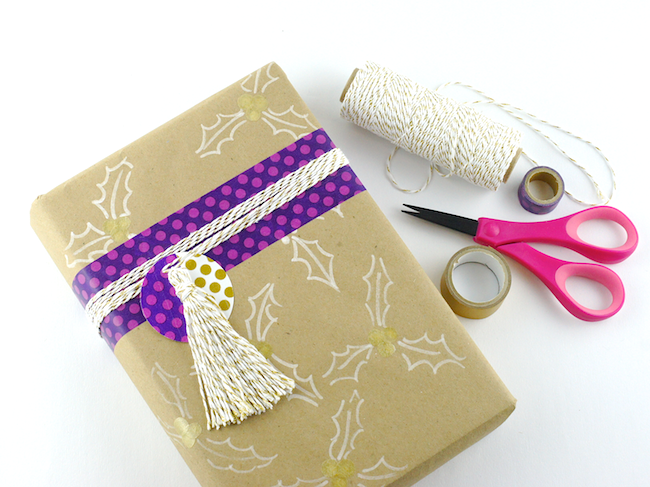 Wrap twine around the package in a different direction. Slide the tag onto twine when you're about halfway through the twine process. You can find tips on creating this style of tag here. 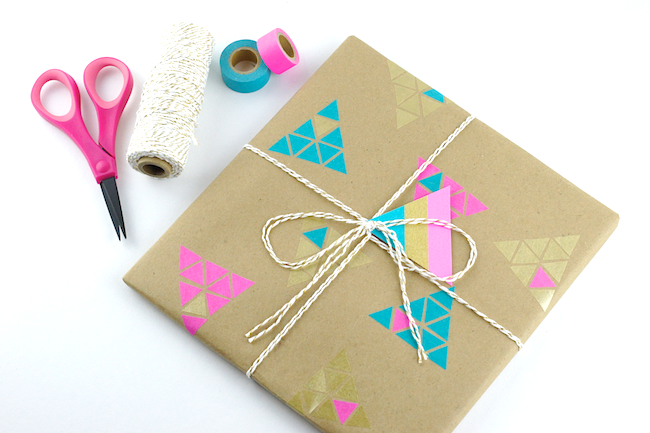 Wrap it geometric! Triangle patterns plus a matching colour block tag. Snip small triangles of tape off the roll and arrange into larger triangles. For added fun make one of the small triangles a contrasting colour. Each large triangle uses 9 small triangles. Make a matching tag by applying tape to card stock then cut into the desired shape. Finish with pretty twine tied into a simple bow. Wrap it in layers! 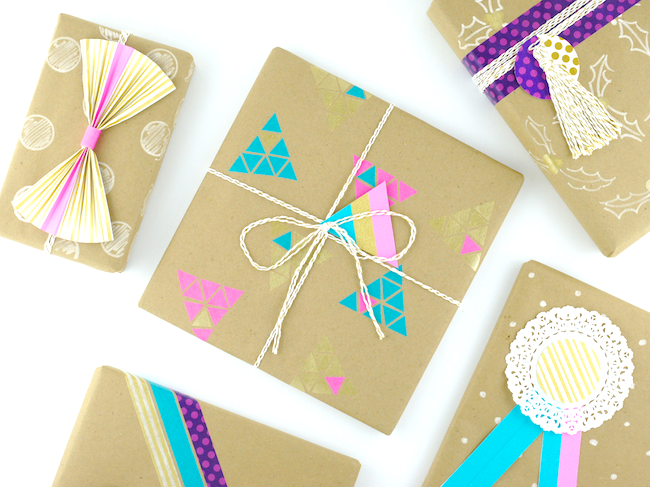 Combine sketched patterns, washi tape details and a twine tassel. Start by sketching on holly (or your desired pattern). 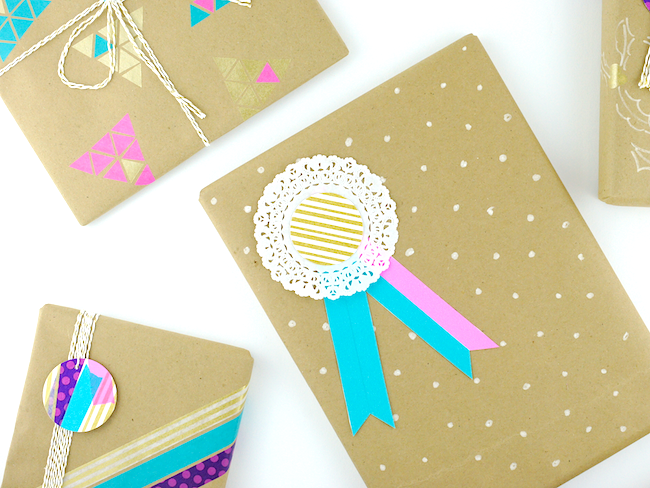 Accent the pattern with washi tape dots. 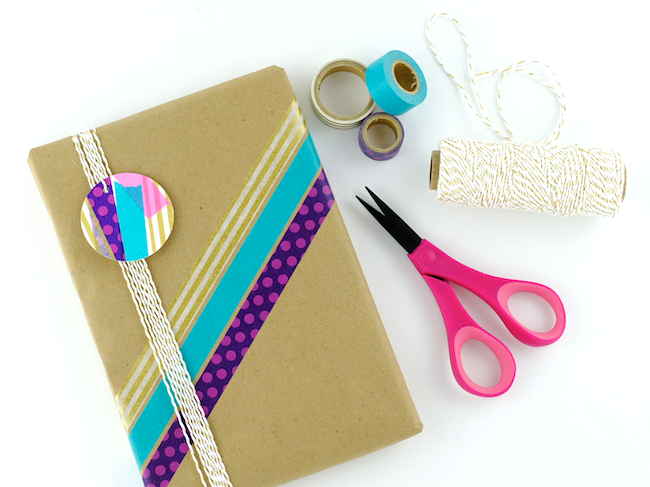 Wrap a few strips of tape around the package to create the illusion of a wide piece of ribbon. 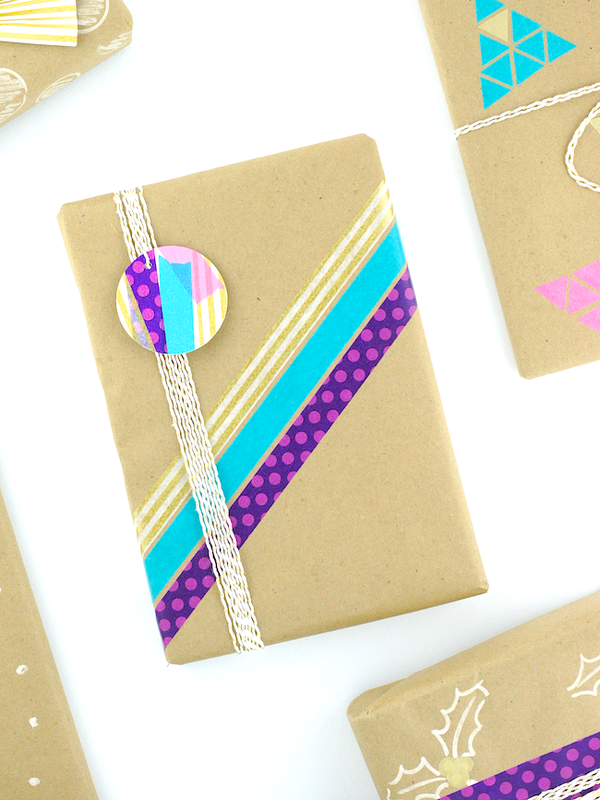 Next wrap twine around multiple times, adding a colour block washi tape tag at the halfway mark. Finally, create a tassel out of twine. Here's a tutorial on twine tassels - I usually just wrap the twine around my hand rather than bothering with cardboard. Wrap it sweetly! 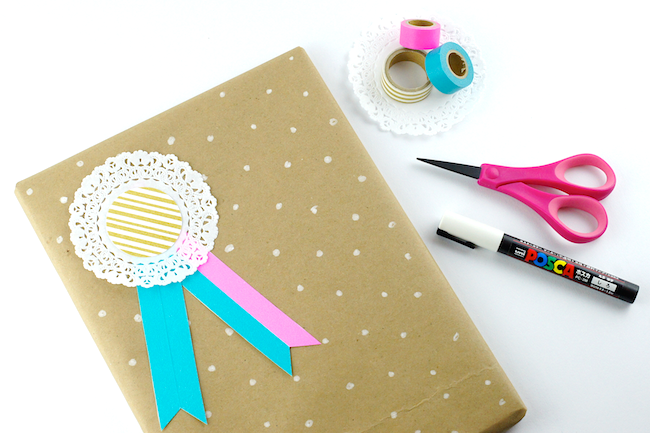 Mini dots and an oh-so-lovely rosette ribbon. Dot all over with your white marker. Then top with a handmade rosette made out of a paper doily and washi tape covered card stock. 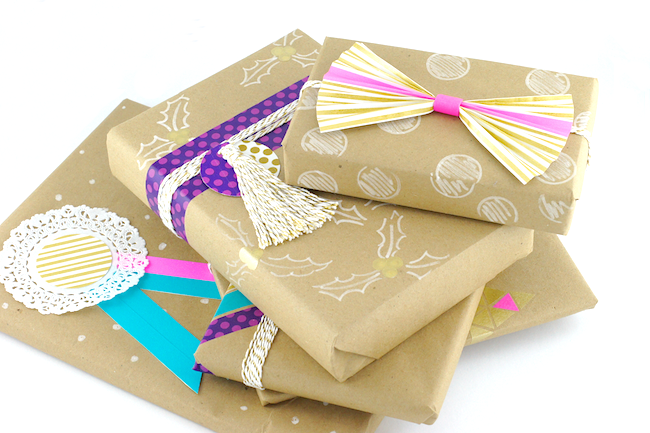 There you have it - 5 ways to wrap a book! Do you have a favourite? 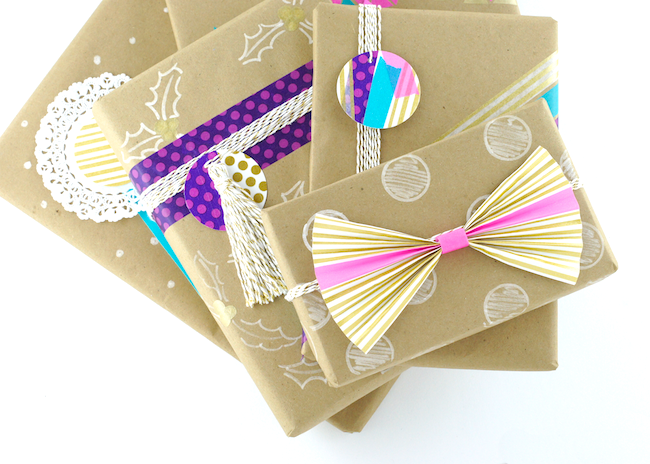 Are you wrapping with washi tape this year? I'd love to see how you use it!